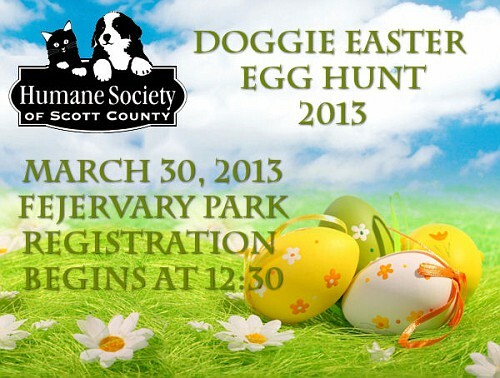 This year's annual Doggie Easter Egg Hunt held by the Humane Society of Scott County is happening THIS COMING Saturday March 30th, 2013. The NEW location is Fejervary Park near the Putnam Museum in Davenport. Registration begins at 12:30 PM and the hunt is on at 1 PM! 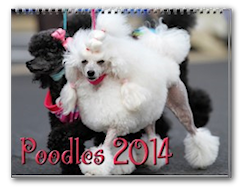 Dogs will sniff out treats in two groups - small and large - and must be on a leash at all times. 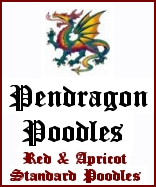 Entry fee for the hunt is $10 per dog. 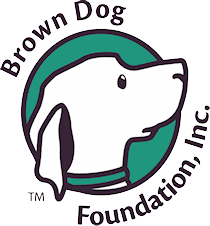 For an additional $2 fee, dogs in bonnets can compete for the "Best in Show Bonnet" prize, judged by John Hannon of Comedy Sportz. 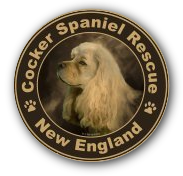 HSSC members - and new members who join the day of the event - pay just $10 to enter their pooch in the Hunt AND the Bonnet Contest. 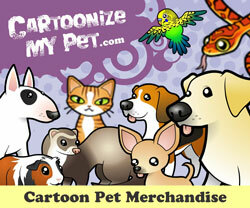 All event proceeds help us help the homeless animals. 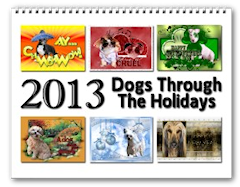 Registration forms are available at the shelter, located at 2802 West Central Park in Davenport. The registration line was LOOONNGGG last year. Don't wait at the tail end! Beat the crowd to the Hunt starting line and be ready for the Hunt at 1 PM! 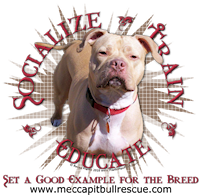 Pre-register at the shelter at 2802 W. Central Park Avenue! This will be your last chance to have your dog photographed using our Easter Background! 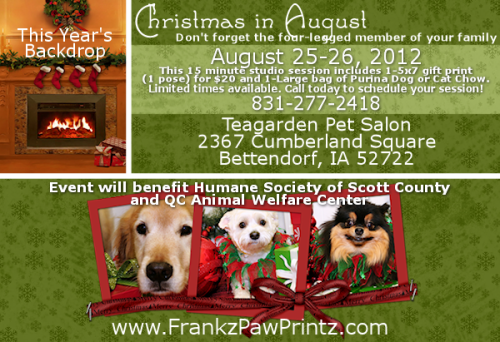 In support of the Humane Society of Scott County, Photo sittings will be FREE! 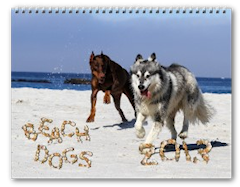 And you will get a FREE 4x6 that you will be able to pick up at Happy Dog Bakery! Sittings will be first come first served! 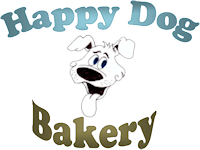 Stop by and meet Holly, owner of Happy Dog Bakery. Not only did she donate 500 Easter Egg shaped Dog Cookies for the hunt, she will have Easter themed treat bags for sale. 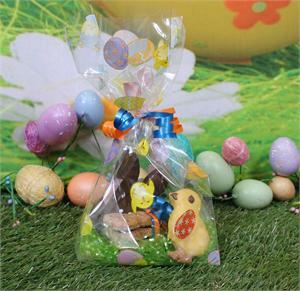 Treat bags include a Carob (chocolate flavored) covered Easter Bunny, a bundle of bones and a Yogurt (vanilla flavored) covered Yellow Chick all in a cute Easter decorated bag.